When we are connected with Google account and we open new tab for searching with Google, your activity will be remember. It is so disturb me about saving my tracking activity for searching the victim who have any miss configuration or whatever about vulnerability (e.q. a sql injection method). As we know that all of our tracking can be offered by the someone who have a problem with us such as our hacking activity into their system. It can be a fact which have jailed us. Although as we know, maybe there're a hacker group who care with us, but it's never do the better, and not help us to free from the jail. Okay, don't be panic we can delete that tracking to prevent us and stay anonymous. 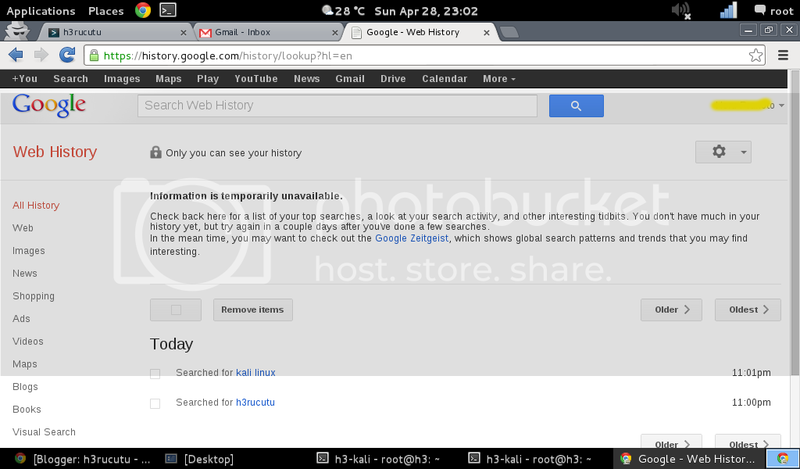 When we are signed in into our Google account, we can open the new tab addresses to history.google.com/history. The Google History will be opened immediately, then you will be asked about your password, type it and log-in. Now, the Google History will show us about our tracking activity, contain information the pass-phrase which have we searching using Google. If you use Google account for long time, maybe you have too many tracking record. For deleting this tracking, you can select the recently information about your tracking and choose remove items. Deleting all of your tracking is the best choice, but you may need a lot of time to delete it. Be patient. Next, how to prevent our tracking will not be recorded? 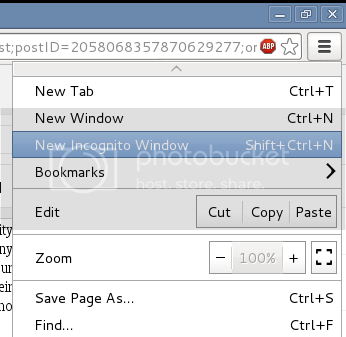 We can use incognito feature which include beside the popular web browser (e.q. Google Chrome, Mozilla Firefox) for searching activity without logging in into Google account. But, it still can be tracked with your IP Address. If you want to anonymously over the internet, i recommended you to using Tor (see how to installing Tor) and keeping your track anonymous. Keep anonymous!